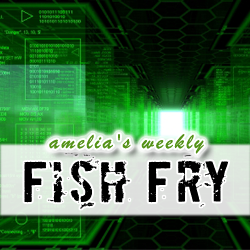 This week’s Fish Fry focuses on embedded computers and holographic projections. We’re going to take a closer look at ADLINK’s embedded computing platforms with Mattias Huber (ADLINK) and check out a new Kickstarter campaign for a company that’s hoping to revolutionize the holographic world. We also investigate why you need a comprehensive emulation strategy in your next SoC design. We’re giving away a Raspberry Pi Model A (courtesy of Newark element14) to one lucky listener this week! Head on over to element14.com/fishfry to enter to win. Click here to enter to win a Raspberry Pi Model A courtesy of Newark element14.